Testing of autonomous vehicle technology really ramped up a gear in 2018. After a brief hiatus following the fatal self-driving Uber crash in Tempe, Arizona, autonomous vehicle manufacturers and other interested stakeholders – including insurance firms – are now accelerating their road-testing programs. They’re being fuelled by the introduction of rules, regulations and official legislation aimed at making roads safer with the implementation of autonomous technology. The United Kingdom is arguably leading the way with regards to legislation and codes of practice around autonomous vehicle operations. In July 2018, the UK government passed the Automated and Electric Vehicles Act 2018, setting out a regulatory framework that brings automated vehicle insurance in line with “longstanding motor insurance practice”. The Act ensures that British motorists are covered both when they’re driving and when the driver has legitimately handed control to the vehicle. Elsewhere, legislative support has not been so easily granted. The United States had to pass a bill which barred individual states from blocking driverless car testing after some imposed strict regulations citing concerns over public safety. Canada also lags behind the UK, but change is slowly happening. In December 2018, Canadian transport minister, Marc Garneau, introduced Testing Highly Automated Vehicles in Canada: Guidelines for Trial Organizations, a joint collaboration between Transport Canada and the Canadian Council of Motor Transport Administrators (CCMTA), which would support more testing and development of autonomous vehicle technology. It could be argued that public ‘confidence’ is precisely the thing lacking around autonomous vehicle technology at the moment. That’s largely due to the smorgasbord of unanswered questions around issues like safety (what criteria will be used to define safety in the autonomous era? ), liability (when something inevitably goes wrong, who’s at fault? ), accessibility (who can safely use a driverless car? ), and so on. One issue raised by Karol - and debated regularly by experts – is the ability of autonomous vehicles to cope with difficult weather conditions like snow and fog. Snowy conditions have been described as particularly problematic because they can cause problems for the cameras and sensors that autonomous vehicles use to perceive the world around them. As autonomous vehicle technology continues to advance, and testing becomes more thorough, the insurance industry is really starting to engage. Not everyone can be an expert, but they do need to educate themselves about the risks, according to Williams. 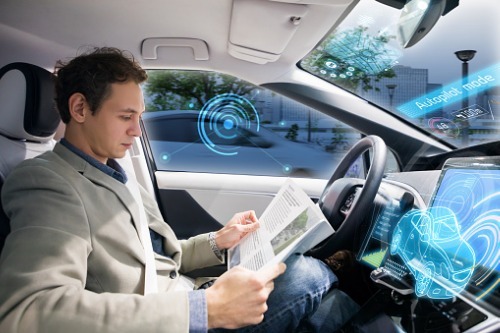 Brokers, for example, need to keep up to date with the latest technological advances and the latest legal and regulatory decisions so that they can keep their clients informed as interest in autonomous vehicle technology continues to accelerate. 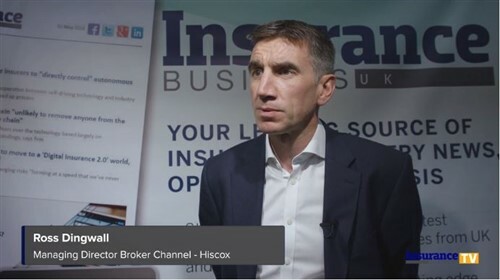 Mike Hudzik, head of casualty underwriting, Swiss Re, commented: “We’re very bullish in our preparations for autonomous vehicle technology at Swiss Re. We think autonomy will bring a strong set of positives and will help to reduce loss frequency in terms of collision claims, distracted driving and so on. Moving forwards, the real challenge is going to be making the transition towards autonomy. The expectations are that the automotive industry can introduce autonomous technology slowly and it can gradually gain momentum. However, even if the transportation industry embraces autonomous technology, that doesn’t necessarily mean the world around the industry will embrace it with the same speed or the same degree of momentum.